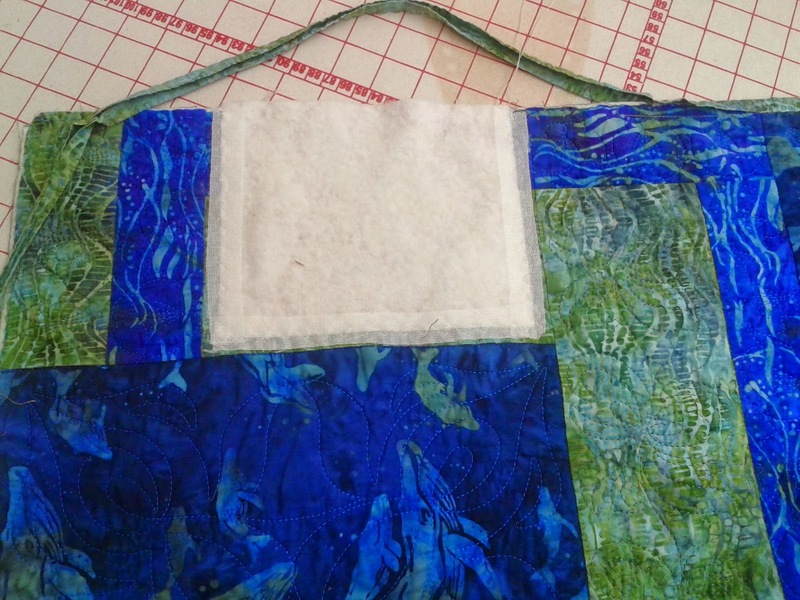 This blog is intended to share my journey in longarm quilting. Come along with me as I grow in this exciting, challenging adventure. Here is my most recent entry in a quilt show. I quilted this for my friend Wendy to be entered in the Fraser Valley Quilters Guild show in Langley, B.C. Together, we placed 3rd for Viewers' Choice. We're both delighted. This is the quilt I finished for my sister to celebrate her daughter's 25th birthday. Below is a photo of what my niece's puppy did to it. Luckily there were scraps available and I was able to splice in a section of batting and create a new block and backing. Now to replace the quilting!! Today I mailed the second of a series of quilts to a family who lost their Wife/Mom/Sister. This one consists of shirts to commemorate trips to Hawaii. There were so many with flip flops on them that I could almost make an entire quilt with them! The quilt pattern I used was, of course, "Flip Flops". I look forward to seeing the next batch! This is my most recent T-shirt quilt creation. The owner of these shirts collected them on trips she made with her husband. Sadly, she passed away 2 years or so ago. I'm hoping the quilt is a comforting reminder of the adventures they shared. I made this table setting for my sister, Lori, who is an avid gardener, and loves sunflowers. The fabric is a beautiful batik which I quilted as a whole cloth piece with an allover sunflower design. I cut it into placemats and trivets, then bound them as usual. After Christmas, Lori called and said "You know what would be really nice is matching napkins". So, back to Poppins to buy the remainder of the bolt!! Here, after a considerable absence, is an update on what I've been doing. I took an extended break from quilting over the summer to take a trip to the Yukon and Alaska, (I know, that doesn't account for the period from my last post to this one), and, the only explanation I can give is that it seems I either have time to quilt or time to blog about it, not both. One of the things I have been playing around with is T-shirt quilts. It's popularly believed that it's necessary to fuse some form of stabilizer to t-shirt knits to make them manageable, and sashing is required for the same reason. I was looking around the 'net for ideas and came across a site "Too Cool T-Shirt Quilts". Andrea Funk has made hundreds of quilts using a unique method,which uses neither stabilizer nor sashing, and has written an ebook that's available to purchase. 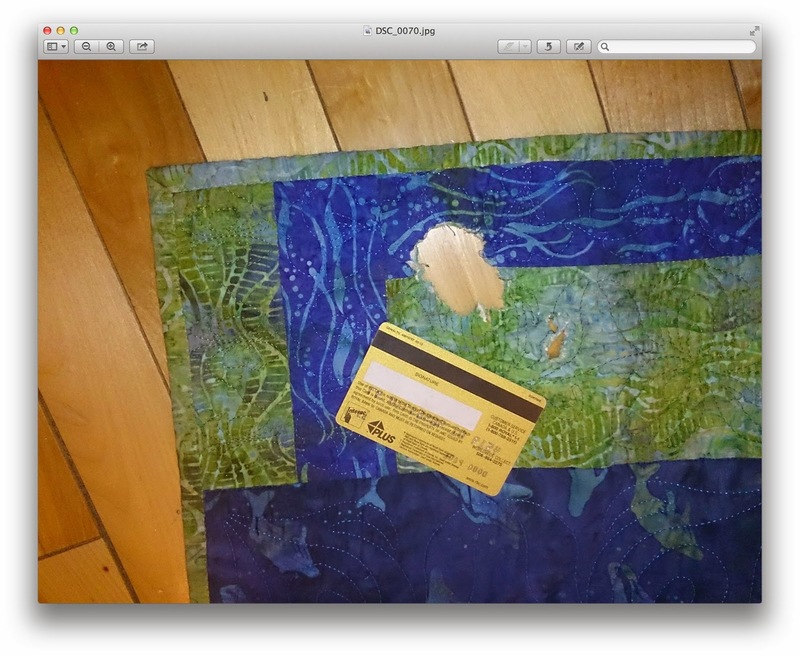 I did so and couldn't wait to try it out, and the attached photo shows the result. It is challenging to work with the knit fabrics, but I like the result. It does take more shirts using this technique, but a definite plus is the ability to use different sized motifs to advantage, rather than, say, put a 4" picture into a 12" square block because all the blocks are that size. The sashing method allows a few blocks to look like more, if the number is not enough to make a usable sized quilt. I offer longarm quilting services including digital edge to edge, blocks, motifs and borders, freehand and digitizing of original designs. I have a longstanding passion for fabric from pattern making, tailoring, leatherwork, and garment making to quilting. Most recently, I've been creating T-Shirt quilts I call "T-Shirt Treasures". Using shirts collected by everyone from Moms to athletes, to high school graduates, I make a collage of memories out of garments that otherwise get discarded or take up drawer space because the owner just can't part with them. I rely heavily on chocolate to get me out of a creative slump.